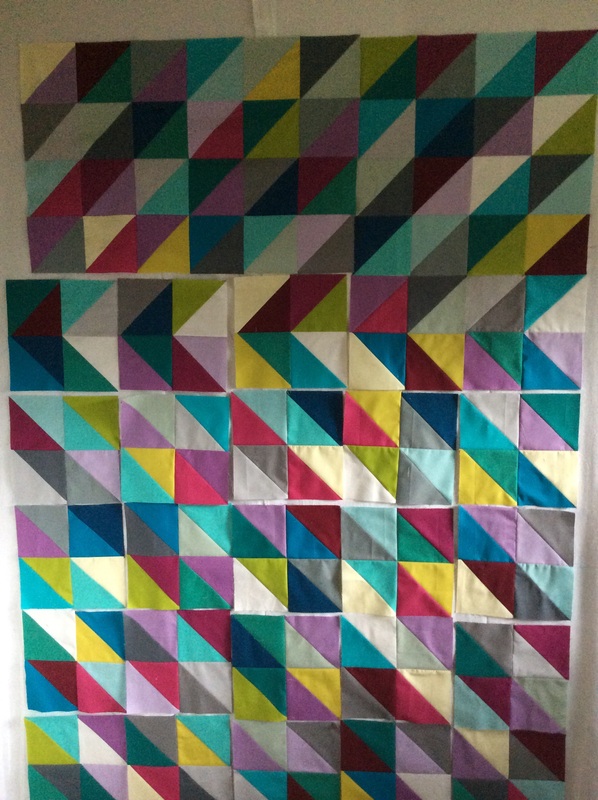 I would really like to get my design wall back, but I just haven’t been inspired to keep sewing these half square triangle blocks together. They’ve been hanging out on the wall for quite some time. 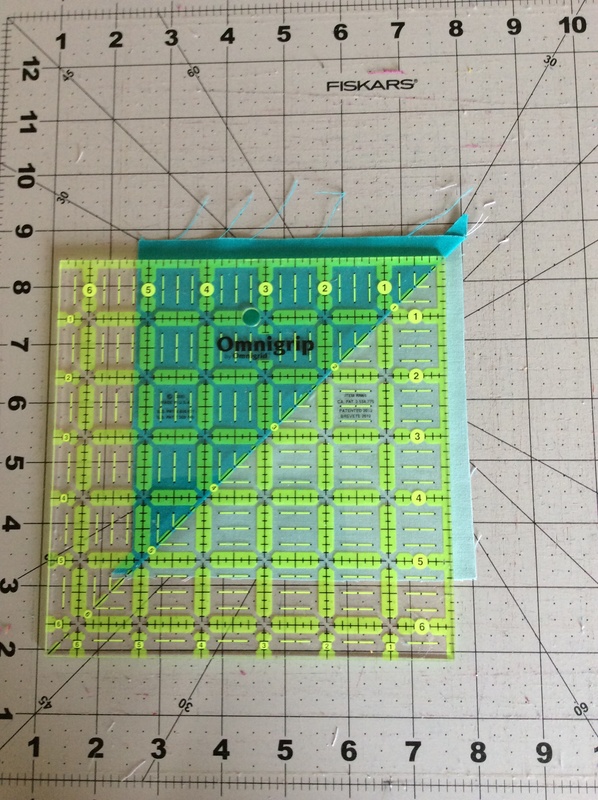 But today I did get them all sewn into foursomes, and then some of those sewn together as well. One good push would finish off the top, but I’m wandering off again instead. I’ve gotten enough of the HS triangles done to start putting them up on the wall to decide the arrangement, and it quickly became clear that I didn’t love the overall color scheme. While it is hard to say that there really WAS a color scheme as the plan was just “throw in all the colors,” it was off nonetheless. Pulling out all the oranges and orange reds made it much more appealing. 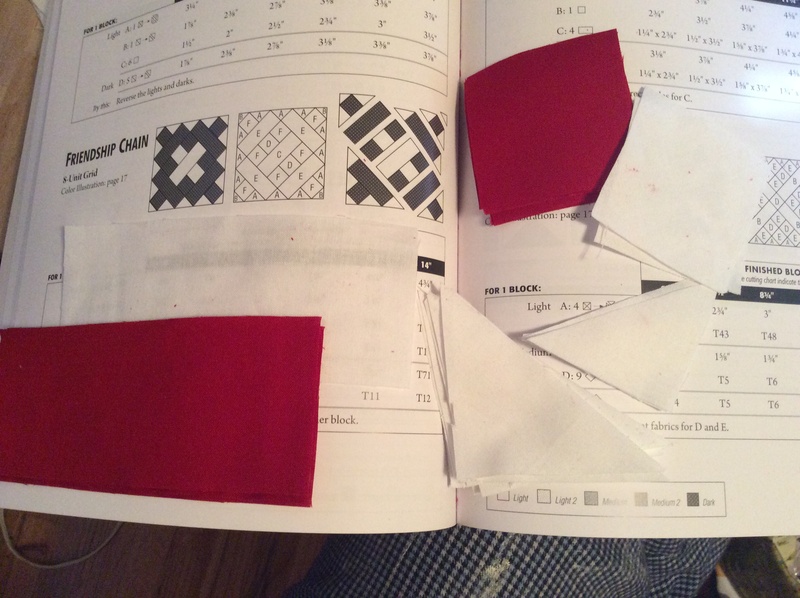 But now I have to decide if I’m going to shrink the overall size or cut more squares from my rapidly disappearing fat quarters. I suspect more cutting will happen in the end. And some seam ripping to recover the other colors that were sewn to oranges. Luckily I decided this before they were all sewn and cut. But maybe the dark yellow should go too? Something about these tiny slivers of fabric is very satisfying. 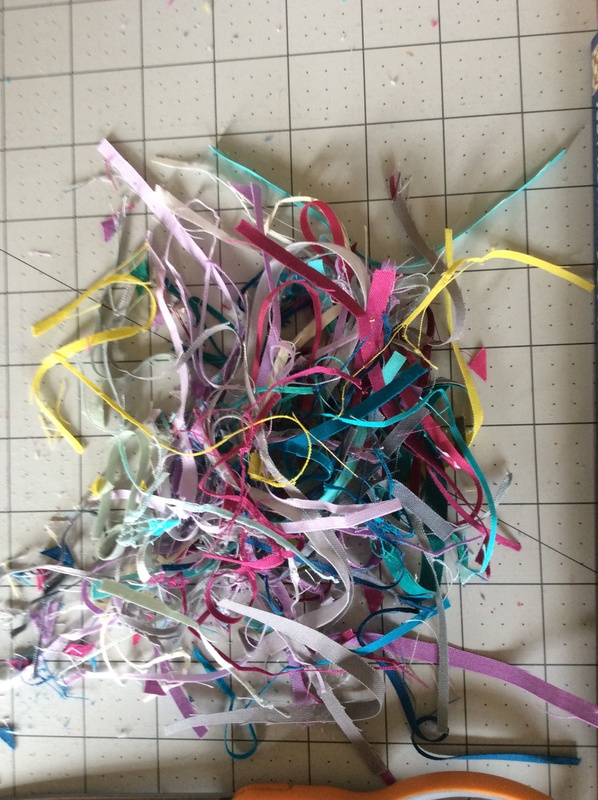 A pile of inaccuracy, trimmed away. Wish I could do that with other aspects of my life! The leavings are pretty as well. Someday I’m going to save them all and display them in a jar on a window sill. 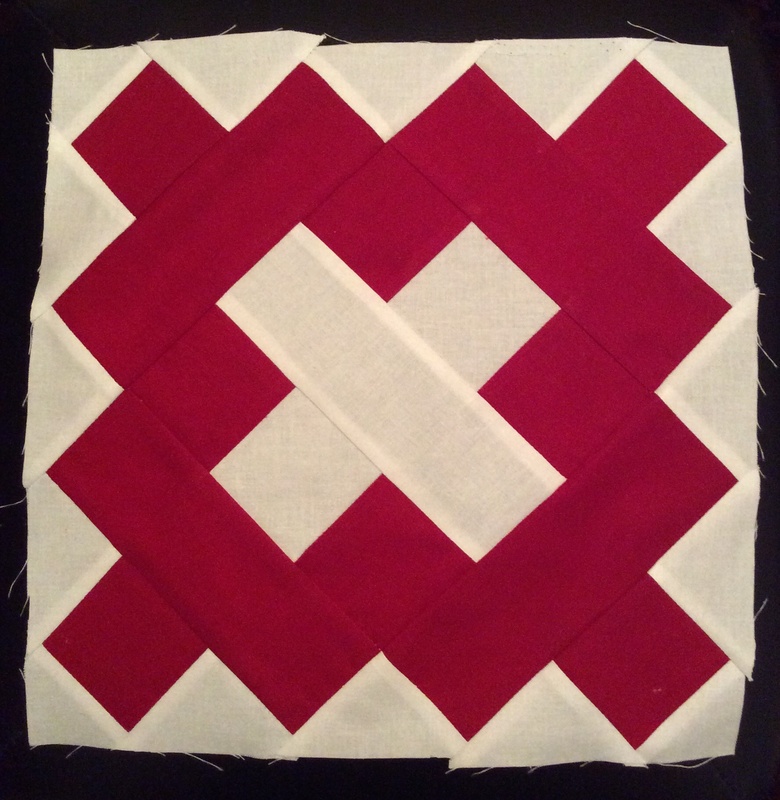 I spent some time this morning turning more squares into half square triangles. I experimented with an idea gleaned from a Pinterest photo that led to this blog post From The Studio Blog. 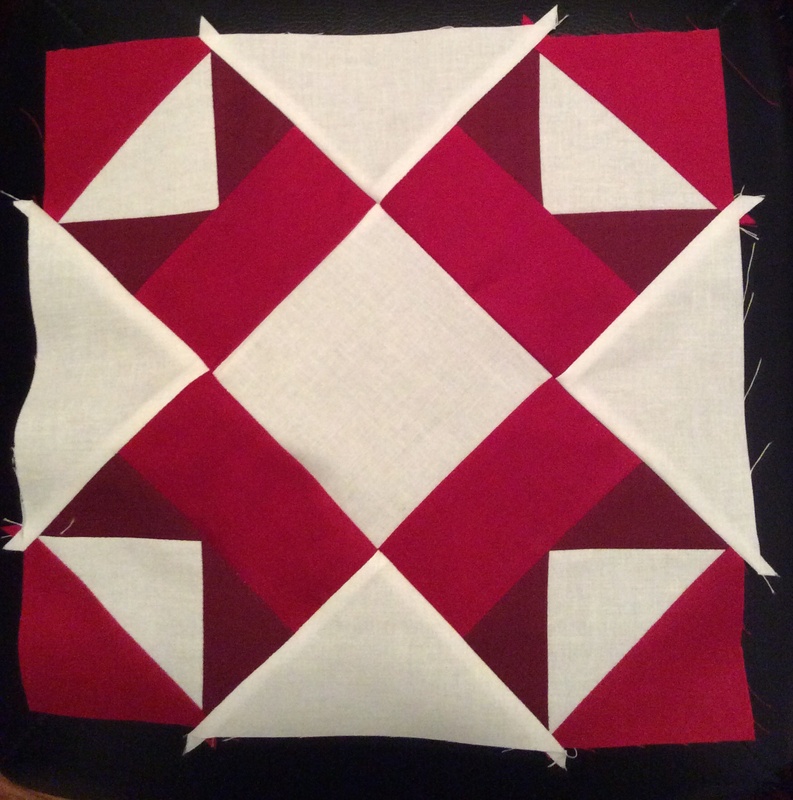 It would work better with smaller squares, as mine block me from seeing the tape in the first inch or two, but I’ve figured out where to start and the lines work for guiding the second half of the line. It speeds up the chaining not to have to draw the lines first. This is not what I should be doing. I should be shopping for Thanksgiving, which is at my house and which I have only a bag of sweet potatoes for. Unless I want to mold them into different shapes, more will need to be purchased. But I’m sewing and trimming instead and perfectly happy about it. Thanksgiving isn’t stressful to me anyway. By now, the menu is so established, and my family gathering small and non-critical. My cousin’s family can’t be here as usual this year, but we’ve added my sister who will come up from the basement, and Mom just called from the Phoenix airport to say she is heading into the air on time, so it will be a good Thanksgiving. This lovely stack of Kona cotton is about to become a large number of half square triangles on their way to joining in a very colorful quilt top. Lots and lots of cutting today!